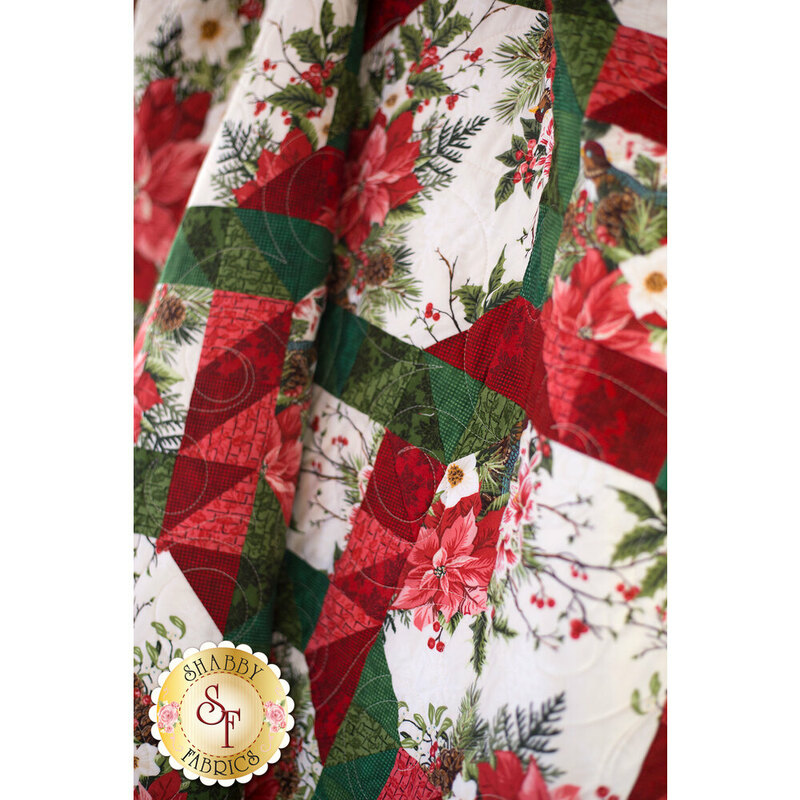 Bring the spirit of the season and all its splendor to your home with the Winter Twist Quilt! 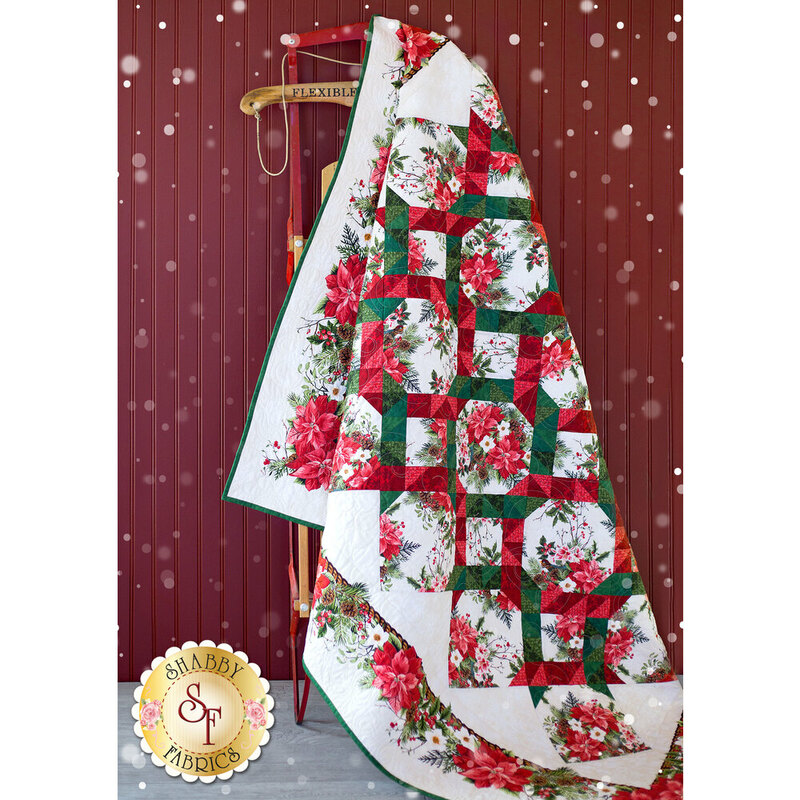 This gorgeous pieced quilt features the rich reds of poinsettias intertwined with deep shades of evergreen for a dynamic, eye-catching look! Quilt finishes to approximately 64" x 75". A beautiful coordinating Table Runner Kit and Winter Twist Kaleidoscope Quilt Kit are also available! This kit includes all top fabrics including borders and binding! Backing is not included, 5 yards is recommended. You must have The Winter Twist Quilt Book to complete this quilt! The Winter Twist book contains the pattern for this quilt, as well as the Winter Twist Table Runner. If you already own the book, we offer the option to order the kit without the book.